Nutmeg is reasonably certain she is not the first person to walk through the Glanum archaeological site, near St Remy de Provence, and consider that mankind is relatively insignificant in the passage of time. 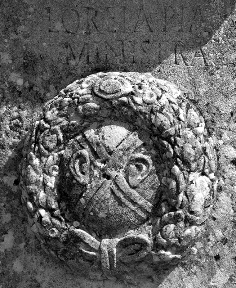 A previous G&N blog post “Glanum Glorious Views” covers much of the history of this site. The following post is a short overview only as an excuse to show off a few new photos. The main street in Glanum is below. A Gallic population from the Ligurian coast first inhabited Glanum in the 7th century BC. This location is named for Glanis a Gaulish god associated with clean water. A sacred water source provided the most basic requirement for human sustenance and a strong connection with the Celtic gods. The remnants of this sanctuary are amongst the oldest structures within the historical site, and there is still water! Archaeological findings from the settlement have been found at the base of Mount Gaussier, in the Alpilles. Ancient artifacts suggest a strong religious basis for this community. One example is the stone altar dedicated to Cybèle, mother goddess of the mountains who rejected Zeus’ advances. Instead, she unwittingly fell in love with her mortal grandson Attis (or Atys). He was not as smitten; betraying a vow of chastity to her she was enraged. Atys met an ugly death via self-mutilation. There are other variations of on this story. The inscription reads Pious Loreia in Latin, which translates into Pious Home. Crude buildings were formed using rocks, readily available in the Alpilles. The construction provided both fortification and shelter for these first inhabitants. Economic and architectural influences from the Greek settlement in Marseille (Massalia) from in 2 BC are evidenced buildings by an expansion of the settlement. The use of Hellenic construction, where carved stones are set without mortar, is typical of this era. As the Roman campaign gathered strength, and Caesar was victorious in Marseille the face of Glanum changed again. Old buildings were torn down. The rocks were used for fill creating the foundations for Roman buildings; public baths, a forum, a basilica and more. 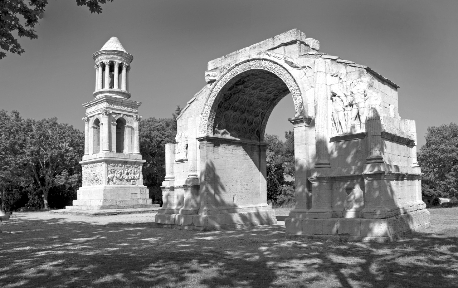 Likely the two most recognizable structures at Glanum are the Mausoleum, believed to been a monument in memory of deceased, and the Arc Municipal, at one time the entryway to Glanum. Both were constructed in approximately 30 BC. The site was destroyed in 260AD; many of the stones were used to construct buildings in the new town of St Remy. 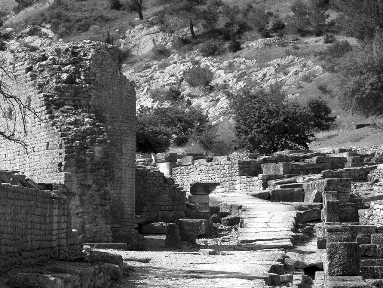 Glanum became a pile of rocks until excavation work started in 1921. It’s really incredible, isn’t it? 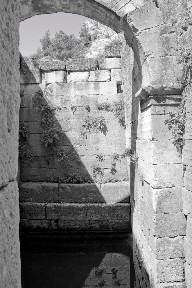 Hi Jill: We agree every visit to Glanum is a new awesome discovery. 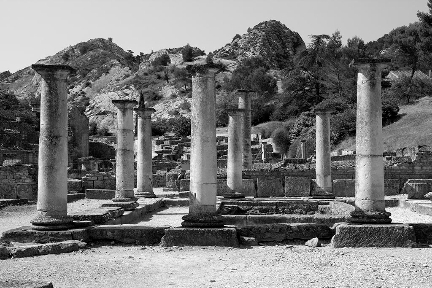 GGG you must visit Glanum, it amazes me every time I go and it is really that beautiful.